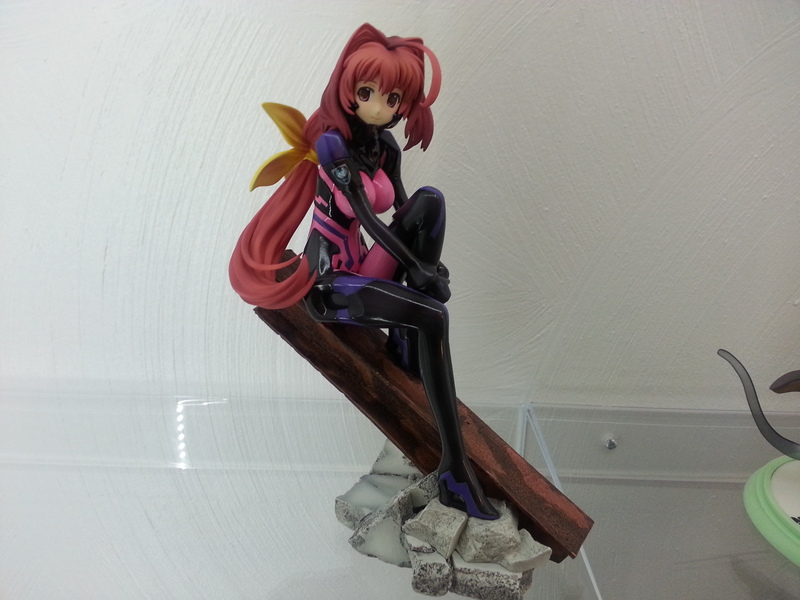 Collector's Corner - PX Lounge - The Muv-Luv Community Forum! Thought I'd go ahead and create a thread for people to share their Muv-Luv collections and merchandise. I flipped out when I found her at a con last year! I've got the Meiya figma coming on Tuesday. Nice! I am currently lacking in the character figure department of my collection, but I definitely want to get this fig along with many others when I can. Hahahahahahahaha I'll make sure that one doesn't come out at a weird angle! Also your collection is awesome I'm very jealous! I don't have much other MuvLuv merch other than artbooks and smaller bits! These post are making my neck hurt. The forum software apparently doesn't check the image rotation in the metadata, so when it generates the low-res version it messes up the rotation. A simple fix would be to just include the meta-data in the low-res version. Thank you I was able to fix mine! Hard to win against Ikaruga. I'd like to accept the challenge, but give me a week. I'm a big fan of Muv-Luv and been collecting items from Japan for a few months now and keep on trying to enlarge my collection! Oh man. Your collection is amazing, especially when most of your stuff aren't toys. Found this one at Anime Matsuri in Texas. Though mine is an unsigned one. Funny story about this guy, he's actually my first ML Model/Fig. A friend got him for me waaay back for one of my birthdays. Hard to beat Ikaruga's phone card collection... I mean, fortified suit Koubuin Yuuhi phone card collection ._. Wow, this is pretty awesome guys ! But stop tempting me to start collecting ! I've managed escaping this until now ! I'm only interested in the dog tags and the Schwarzesmarken business card case (and maybe that fan). Any hopes of separating that from the bundle? Yeah, Hainiryuun! Let us bring the light of Kagami to the Meiya fans! I have the GSC Meiya and a couple of unopened model kits. The kits are waiting for me to find some time and money so i can properly assemble and paint them. Nex, I already know you have (had?) a sizable A3 collection from the AnimeSuki forums...come at me! I only have one, this Kasumi figurine. I'm not much of a collector of merchandise, but I really dig this one. Blue Eclipse... How much blood will I have to sell... To buy that from you...? I NEED that in my life.